Why would I need self storage in Tamarac, FL? 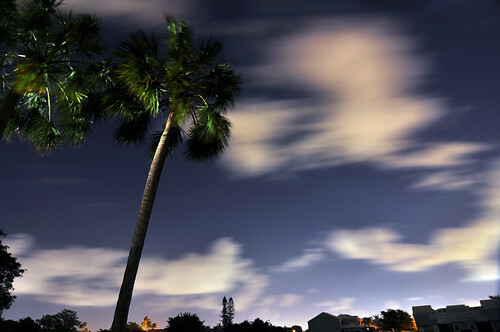 There are a variety of reasons why you might need self-storage in Tamarac, FL. How much is a storage unit in Tamarac, FL? The cheapest storage unit in Tamarac, FL is $76.00 per month. What size storage units do you have available in Tamarac, FL? In Tamarac, FL we have sizes that range from 5'x4' to 10'x30' to suit your storage needs. How much is it for a 5'x4' storage unit in Tamarac, FL? The cheapest 5'x4' storage unit in Tamarac, FL is $76.00 per month. The city of Tamarac is located in Florida's Broward County, just about 15 miles northwest of Fort Lauderdale. Originally created as a community for retirees, it's now home to a multi-generational community that's been steadily growing for the past few decades. Farmers markets, movies and concerts in the local park, convenient amenities, and well-rounded recreational opportunities are just a few of the things that Tamarac has to offer. Real estate developer Kenneth E. Behring imagined a planned community in which retirees could enjoy privacy and active lives but with the convenience of a co-op condo. Thus, Tamarac was born, and it's thrived since its original inception in 1963. The Behring Corp. bought significant tracts of land in Tamarac, developing new neighborhoods on each parcel. The city became a magnet for Florida residents who sought a more laid-back, peaceful way of life, as well as for snowbirds who wanted to escape the cold winters that made northern life less comfortable. Additionally, residents were originally drawn to Tamarac because of the maintenance-free lifestyle it promised. Each of the neighborhoods the Behring Corp. developed charged a modest maintenance fee (starting at $23 per month in the 1960s) so that residents didn't have to mow their lawns, fix broken appliances or attend to other aspects of home maintenance. Tamarac has an odd shape that reflects the Behring Corporation's sporadic acquisition of new land over time. It still serves as a residential community for many retirees as well as many people in other age groups, and has also spawned a bustling commercial district where businesses flourish. Tamarac offers modern conveniences, including local businesses like restaurants, retail stores, malls, gyms and coffee shops. You won't have to leave the city limits to access a variety of amenities, but you can certainly make the short, easy drive to Fort Lauderdale if you'd like. Low crime rates and well-rated schools have made Tamarac an increasingly popular place for families to raise their children. While the city was built for senior citizens, it no longer exclusively caters to that demographic. Today, it's developed into a well-rounded community that offers something for everyone. The unemployment rate in Tamarac is lower than the national average, which is good to hear if you're planning on joining the local job market. It's not uncommon for Tamarac residents to make the commute to Fort Lauderdale for work, though there are a number of businesses that provide jobs within city limits. Among Tamarac's largest employers are State Farm, City Furniture, Convergys and University Hospital and Medical Center. In addition to the local public schools operated by the Brittonkill Central School District, Tamarac also features a tuition-free charter school. The city also hosts a few private schools, providing both secular and faith-based options. Utilities: Florida Power & Light is the primary energy provider in Tamarac. The city's utilities department oversees water and sewer services. Garbage and Recycling: The city has an organized waste collection schedule that divides the city into several different residential regions. Your pick-up date will be determined by your home's location, but you can expect trash to be collected twice per week, and recyclables and yard waste weekly. Transportation: The city of Tamarac operates a community bus service that also offers connections to the larger Broward County Transit System. Because it was built for retirees, many of the homes in Tamarac consist of one-story, detached residences and condominiums. A number of residential communities, such as Tamarac Lakes, feature clubhouses and other community centers where residents can socialize and participate in group activities. Compared to the rest of the Miami-Fort Lauderdale metropolitan area, Tamarac is a very affordable place to live, with median home prices that fall below the national average. Our lowest priced units in Tamarac, FL average $76.00 per month. 80 people have reserved units in Tamarac, FL in the past 30 days. There is 1 location within Tamarac, FL's city limits. There is 1 location in Tamarac, FL that offers AC and Heating features.